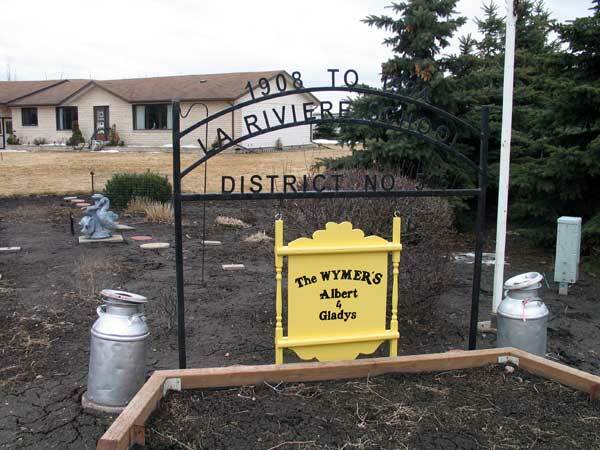 The La Riviere School District was established in September 1887, in the village of La Riviere, in what is now the Municipality of Pembina. 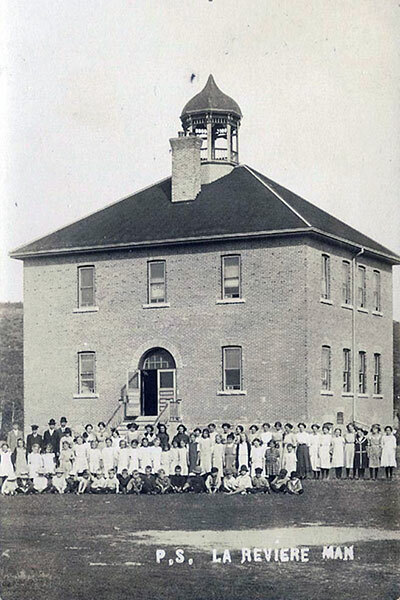 In 1908, it became a Consolidated School and, through the years, several smaller rural schools were closed and their students came to it, including Silver Springs School No. 119, Archibald School No. 151, Kingsley School No. 221, McKenzie School No. 235, Willowdale School No. 309, and Mountain School No. 367. 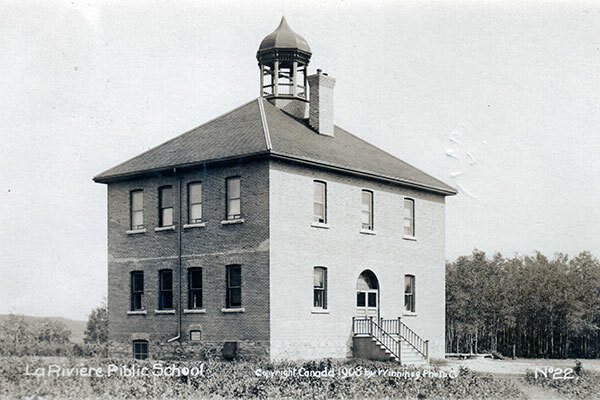 A two-storey brick school building was constructed in 1903, using bricks made at the nearby brickyard, and it operated until 1945 when it was condemned as unsafe. Classes were held in various places around the village until a replacement school was constructed later that year. It opened in January 1946 and had four classrooms, a library, science laboratory, furnace room, and auditorium. The school closed in 1984 and the building was demolished. The site is now occupied by a private residence. We thank Rob McInnes and Nathan Kramer for providing additional information used here.